The NTP Pool is a collection of voluntary Server operators, donating bandwith and server ressources to the public, syncing the time of more than 100 Mio Devices on the Internet. To read more about the pool, click here. But some regions are currently strongly underserved, making proper timekeeping difficult and increasing the load of a few servers. The most notable example of this is the China-Zone. As of writing, there are currently 5 Servers serving the entire country. For comparrison, Finnland, a much smaller Country has 35 active servers. So to be able to provide a server to the China region, the server has to be able to answer a LOT of queries. This Post describes some expirences on the experiments. 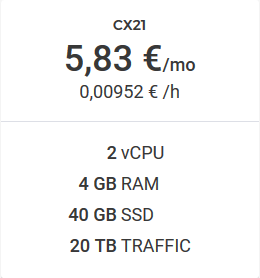 Serverhardware: The Server was a virtual Server from Hetzner Cloud The Server was choosen due to it beeing a small experiment with the capability to scale up and down, depending on the workload. Just a standard NTP Config, with the recommended Settings for the NTP Pool. Since this was not acceptable(The server started dropping within the first 30 Minutes of beeing readded to the pool), I decided to evaluate other NTP Server Software. I decided to try out this Rust Implementation due to its ability of multitasking. Since this is not a full ntp server, its needs a Backend Server running, providing the full features. Since ntpd is not able to run on nonstandard ports, I decided to go with chrony, which I will evaluate in a later test. The -e Switch sets the Environment we want to compile to, in this case the release Version with the optimized executable. pool/server: Source Server where to pull time from. noclientlog - Disabled due to no rate limiting used(since this isn´t the main NTP Server. Now you only have to restart chrony. And can now start rsntp and begin serving clients. I decided to use screen for this, since I want to monitor it, but you can also create a service for it and have it running in the background. 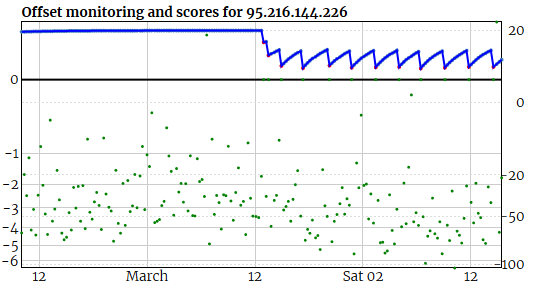 And since I have a 2 Core VM, I want to use 2 Threats for IPv4, which is the majority of the traffic. And thats it, the new Server is now up and running. Verify it with a online test like this one and then add it to the pool. I am not sure, if this is running better, but I will report back on the results.